Dr. Cabrera has more than a hundred scientific publications concerning medical parasitology and public health. 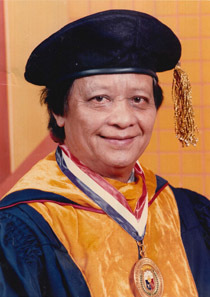 For his work on filariasis, Dr. Cabrera received the Philippine Legion of Honor, a Presidential Award in 1966. With the elucidation of the epidemiology and life cycles of filarial parasites, preventive measures in the form of drug treatment of human cases as well as measures against mosquito vectors can be implemented. Dr. Cabrera also worked on the control of ascariasis. With the model he proposed, hazards produced by these soil-transmitted helminths can be reduced.